For the populations of the developing economies – the vast majority of humanity – the present century offers the prospect of emulating Western standards of living. This hope is combined with increasing awareness of the environmental consequences of the very process of global industrialisation itself. This book explores the interactions between economic development and the physical environment in four regions of the developing world: Sub-Saharan Africa, South Asia, Southeast Asia and East Asia. The contributors focus on the 'Anthropocene': our present era, in which humanity's influence on the physical environment has begun to mark the geological record. Economic Development and Environmental History in the Anthropocene examines environmental changes at global level and human responses to environmental opportunities and constraints on more local and regional scales, themes which have been insufficiently studied to date. 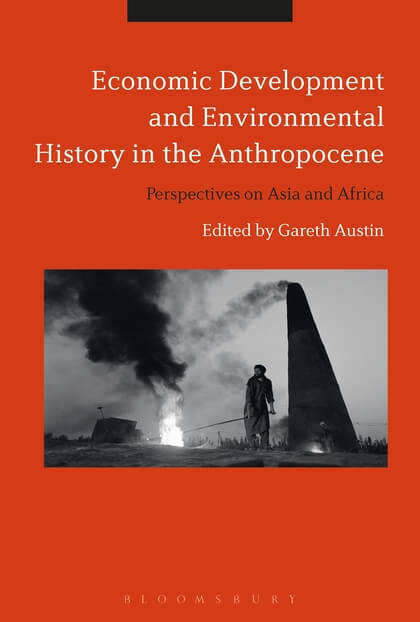 This volume fills this gap in the literature by combining historical, economic and geographical perspectives to consider the implications of the Anthropocene for economic development in Asia and Africa.